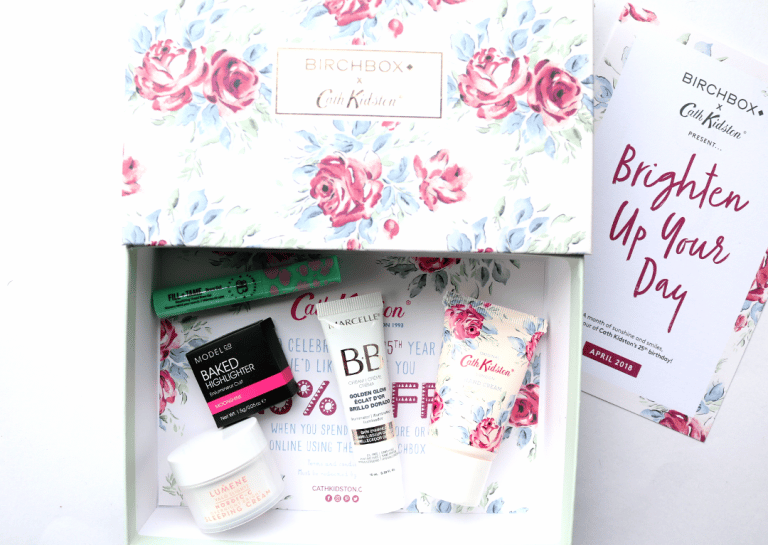 This month’s Birchbox is a very special collaboration with Cath Kidson to celebrate the iconic brand’s 25th birthday. I can’t quite believe that Cath Kidson have been around for 25 years now, where does the time go?! Needless to say, April’s Birchbox features a gorgeous Cath Kidson print which makes it one of their most covetable and collectable boxes to date. 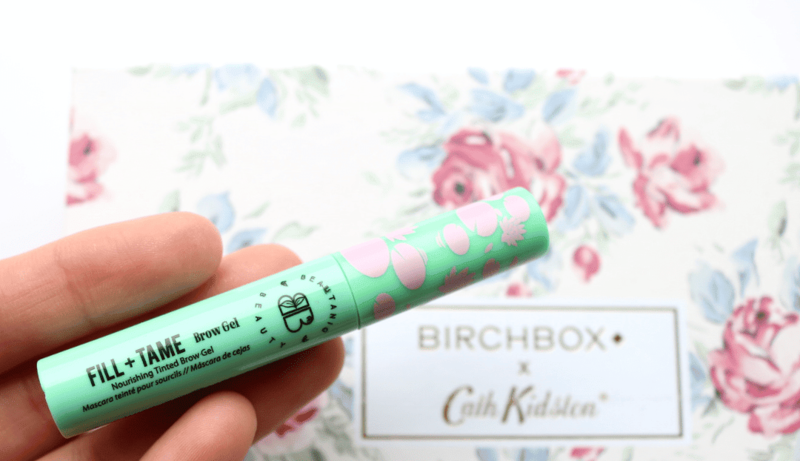 Inside, there are five beauty treats to add some brightness and glow to your day, including an exclusive limited edition product just for Birchbox subscribers (oohhh! ), so let’s take a closer look, shall we? 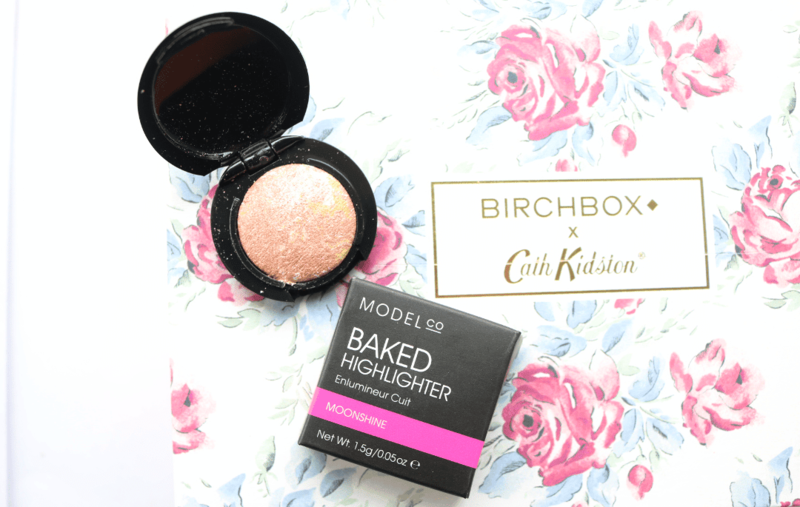 This month, there’s a choice of two shades of this deluxe sample sized Model Co Baked Highlighter, and I received the Moonshine one which is very pretty. Described as an instant complexion illuminator, it adds a gorgeous sheen to the tops of the cheekbones and adds that desired finishing touch for an easy ‘lit-from-within’ glow. It does have some fallout though, so make sure to tap off the excess from your brush before applying. I haven’t heard of this brand before, but I’m happy to see that it’s cruelty-free and it has a nourishing vegan formula that helps the tinted gel glide effortlessly through the brows, without making them sticky or crunchy. Available in three shades, I received Brunette which is a perfect match for me, and I love the small brush applicator. Very easy to use! 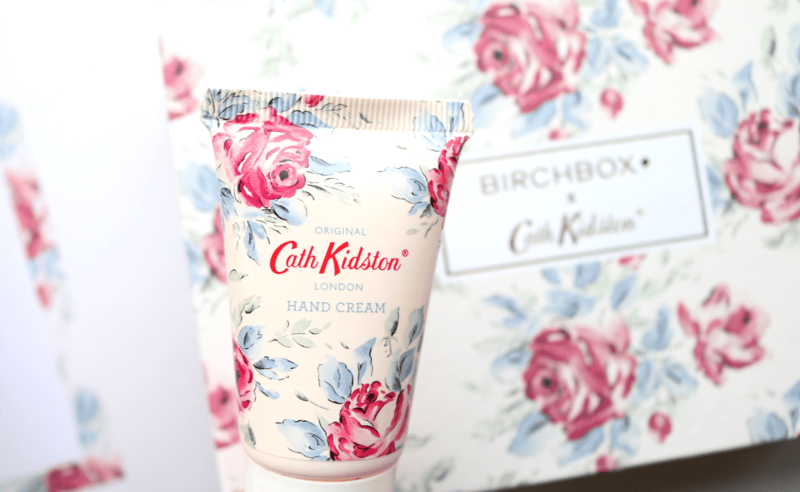 The Limited Edition product is a handbag sized version of Cath Kidson’s original Hand Cream, but re-packaged with an exclusive Birthday Rose print just for Birchbox subscribers (and this matches the box too!). It smells gorgeous; very floral and ‘Spring’ like, plus it makes your hands feel so silky soft and smooth afterwards. A lovely product to keep in your bag or work desk drawer. Next up, I found an interesting product from the Finnish brand, Lumene. 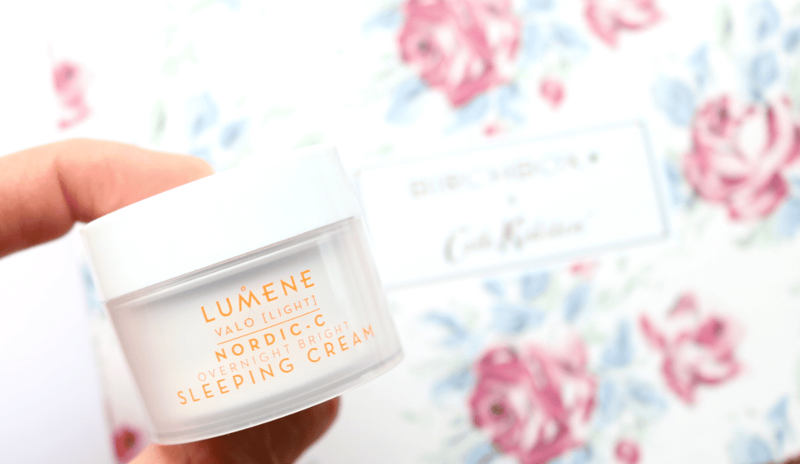 Their Valo Light Overnight Bright Sleeping Cream is infused with key ingredients such as Cloudberry Seed extract, Vitamin C and Hyaluronic Acid, to replenish your skin’s natural moisture levels whilst you sleep. It also helps to add luminosity to your skin, making it ideal for anyone whose skin is looking a little dull after the Winter months. 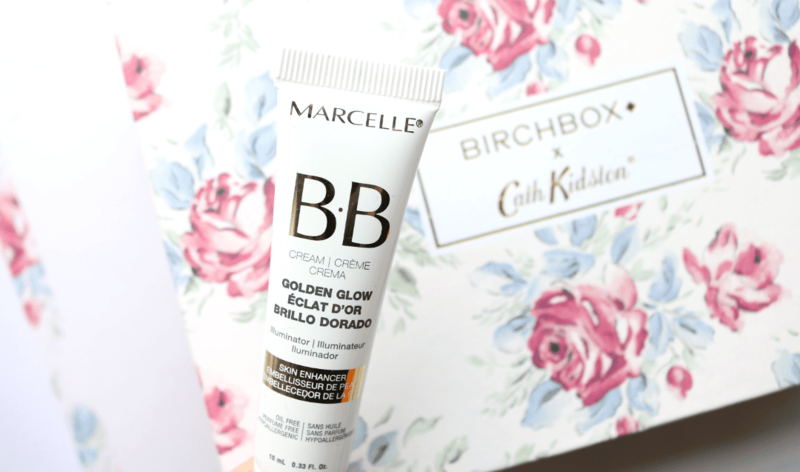 The fifth and final product in this month’s Birchbox comes from the Canadian brand, Marcelle, and it’s a glow-enhancing BB Cream. Made with a hypoallergenic formula, it’s oil-free and perfume-free, and it applies easily to the skin, blending out like a regular moisturiser, but with a glowy golden tint. It hydrates, evens skin tone, controls shine, blurs fine lines and makes your complexion look more radiant. I’ve tried it once so far and loved the results! 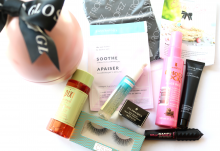 Another lovely box from Birchbox again this month, with my personal favourites being the Beautaniq Brow Gel and the Marcelle BB Cream.